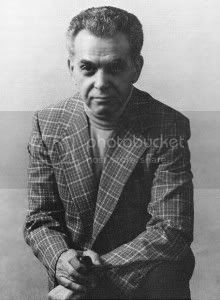 Jack Kirby was born on August 28th 1917. Happy Birthday, Jack Kirby. 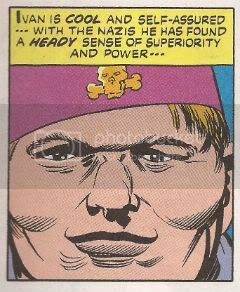 Pour a soda pop, cut a slice of cake and put on a funny hat (a crown, perchance) as I talk about a Kirby comic after the break. The particular issue I have chosen is OUR FIGHTING FORCES Featuring THE LOSERS #160. The story it contains is called “IVAN”. This is an atypical Kirby story in that it is overt in its message but a typical Kirby story in that it is EXCELLENT! 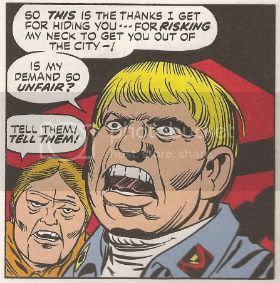 Kirby’s work on THE LOSERS is often overlooked and this is probably due to several reasons: Kirby was assigned THE LOSERS in order to meet his page rate as his FOURTH WORLD books were quietly cancelled one by one, Kirby appears to have had no great affection for the characters (I don’t think he ever mentions the fact that Capt. Storm has a wooden leg) and there was just so much of Jack Kirby's work that was worthy of note sometimes recognition can be late in arriving. 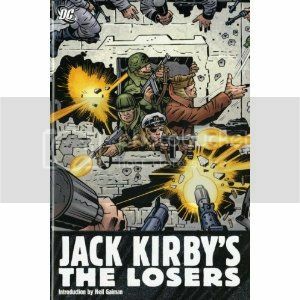 But Kirby’s work on THE LOSERS is notable in that it demonstrates his consummate facility for adapting the genre to the needs of his imagination. Looked at from a distance these are war comics but on closer inspection, the kind afforded by actually reading them, they are expert exercises in what would later be termed “genre blending”. In this volume there are war stories but these war stories are also ghost stories, love stories, homages and romps. And one of these stories is so brutal and unflinching that it scarcely seems credible that Jolly Jack Kirby did the deed. And it’s all the more powerful for being so. That story is “IVAN”. “IVAN” opens with an introduction to the titular character at his work. Ivan is a member of the Allegemeine SS and his work on this day is revealed to be the execution of civilians. Ivan is a good worker and promises to “…cut them down like RIPE wheat”. There then follows the customary Kirby two-page splash. 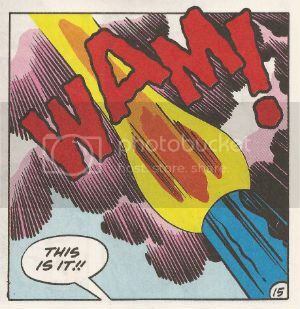 Contrary to Kirby comic custom the image is not one of cosmic beauty but one of human atrocity. The startled reader’s eye is compelled to follow the arc of the lancing fire of the off page machine gun. To follow it from the bottom left of the first page where bodies have piled contorted in death to the centre of the spread where bodies crumple in ugly spasms and on to the upper right of the final page where the fire has yet to reach to those still standing frozen forever in their final seconds. So we see that Ivan is a cog in the great machine of Nazi Germany. The species shaming short-term success of The Third Reich could not have afflicted the 2oth Century without people such as Ivan. For one Ivan alone could not do this. When the machine gun fails Ivan’s co-worker steps up and steps in to finish the job close up. True, he is not Ivan but Ivan is a type and he is of that type. And when the machines of death fail the Ivans will always pick up the slack. But what is an Ivan? Jack Kirby shows us as the tale unfolds. Ivan is a resident of the village in which he enacts his carnage. The people he killed today were probably people he knew. And tomorrow he will kill more of his own people. Later we are told that not even the children will be spared. Not even the children. But his victims knew Ivan before the Nazis came, now Ivan has been able to reinvent himself. He has a uniform, he has weaponry and he has power. But only a little power because Ivan is a little man in a big machine. Disguised as German Officers and their orderlies The Losers are staying in Ivan’s home and Ivan’s obsequious attitude towards them makes it plain that he knows his place. It is a happy place for Ivan. The people he kills could be in that place too but they have chosen not to be. It is this choice that dooms them. By making this choice, a choice so easy for Ivan, these people have brought this upon themselves. They are fools. If they are not where Ivan is then they have failed and in failing are beneath contempt. And so Ivan’s anger and resentment are rightfully directed downward. Literally so as we find that the home’s true owner is secreted in the basement along with some other refugees. Ivan has promised these people safe passage in return for valuables. All the things of luxury we see stored in Ivan’s home are the result of other people’s efforts. People now at Ivan’s mercy. People who need to learn the new rules. Ivan has taken these goods from his victims via an oral contract to ensure their safety. Ivan has no interest in fulfilling this contract as his only interest is self-interest. Ivan’s superiors have no problem with Ivan’s behaviour because it serves their interests. The refugees have no choice but to trust Ivan. They are not fools, they are not idiots but this is all they have. To trust Ivan to fulfil his obligations is to hope against hope. And people are ever hopeful that this time it will be different, this time the word will be kept, this time some humanity will be shown. But Ivans do not need to keep their word once the commodities have been amassed. All that matters is gain. All that matters is what matters to Ivan. Ivan will do this because Ivan can do this, the people he is doing it to do not matter as people only as sources of enrichment. By submitting to this treatment they are deserving of this treatment. And Ivan is content to give it to them despite their lack of gratitude. In the end Ivan reaps what he sowed on the very first page. The sequence which introduced him is repeated but now the POV is reversed. Here is elegance. Here is genius. We see the scene as though we were Ivan behind his tripod mounted oiled and cocked spandau. If we are there then where is Ivan? He is now pleading and unbelieving amongst today's batch of "wheat". Unlike his earlier victims, stoic in the face of the inevitable, Ivan beseeches us to recognises our similarities, to make it different this time, to show a little humanity. This is no victory. 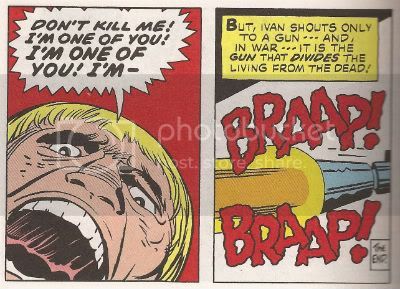 It is too late to help Ivan’s previous victims and already there’s another Ivan behind the machine gun. And this time it is us. Tomorrow more “wheat” will be “cut down”. For cogs are cogs and cogs are replaced and the machine never notes their passing. And, no, there is no satisfaction to be gleaned from Ivan’s final cry, only horror at its truth. Ivan is, indeed, one of us. Ivan is a human and like all humans Ivan hopes against hope that this time it will be different. But as long as there are Ivans it never will be. In the world that is coming there will be plenty of Ivans. The name “Ivan” means “Yahweh is merciful”. Let us hope so. "IVAN" is a tale informed by experience. 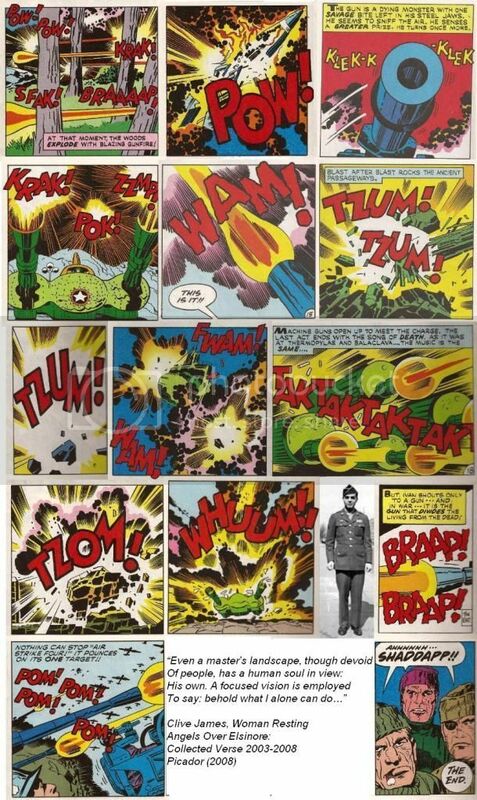 Jack Kirby served in World War 2. 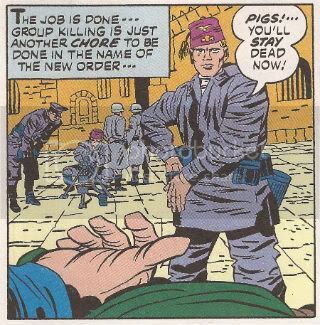 By all accounts Jack Kirby took the lives of others as soldiers do. 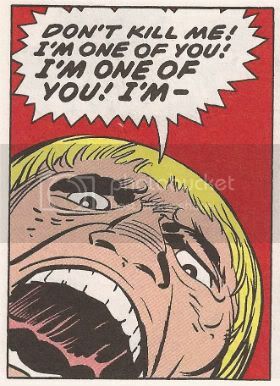 When Jack Kirby returned home he was not unmarked. Ever after his sleep would be disturbed by nightmares of what he saw and what he had had to do. Ever after his work would be informed by one crucial purpose: to ensure that these things would never happen again. That no one would have to do what he had had to do. He dressed it up in colourful bombast but his warnings were there beneath. And one day he created a story which laid it out plain and clear. One day he took the gloves off and created "IVAN". 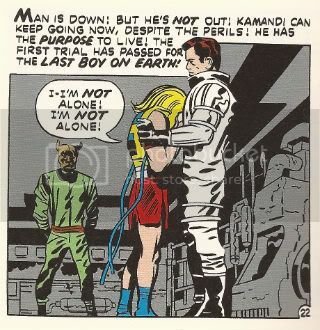 Jack Kirby saw the worst of us and despite everything Jack Kirby never gave up on us. Never. 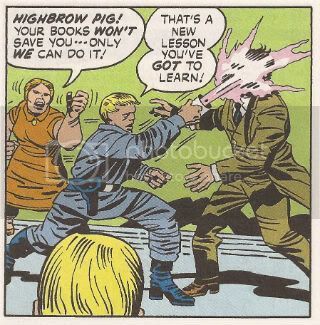 And that’s why Jack Kirby will always be EXCELLENT! "A warrior I have been Now It is all over. A hard time I have." Jack Kirby was born on August 28th, 1917. Happy Birthday, Jack Kirby (1917 - 1994)!